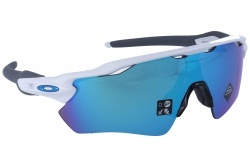 Oakley sunglasses have always been characterised by their high performance in sports competitions, and so Oakley has decided to develop Radar model, a milestone in performance technology. 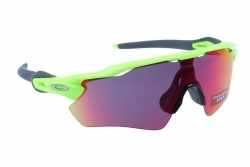 Thanks to the technology this model includes, Radar allows to swap lenses in seconds, optimizing vision in any environment, and it also offers a wide range of colours, featuring Oakley’s High Definitions Optics technology. Radar model also provides a safe and customizable fit because wearers can choose between two nose pad designs to pick the one that fastens best. Temples are made of Unobtainium to increase gripping despite perspiration. 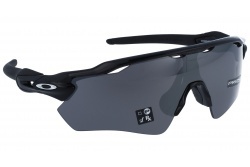 Oakley’s three-point attaching optimises comfort and keeps lenses in an exact optical alignment, providing incomparable clarity. 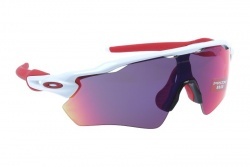 Radar is made of O Matter, a very light material that ensures maximum comfort all day long. 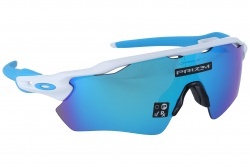 To prevent wearers from being covered in sweat and reduce fog build-up, this frame includes refreshing airflows. 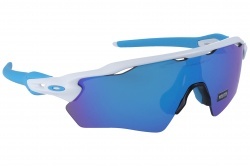 Plutonite lenses block 100% of UV radiation. Radar meets all requirements in terms of impact-resistance. 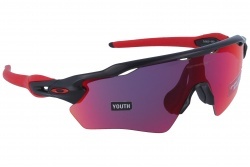 This semi-rimless makes sure no element blocks downward vision. Optical clarity exceeds expectations: Polaric Ellipsoid patented technology minimizes optical distortion and maximizes peripheral clarity. 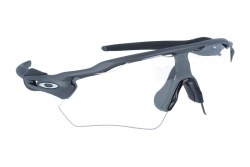 Get your Oakley Radar Ev sports glasses now safely, easily and at the best price at Optical H.